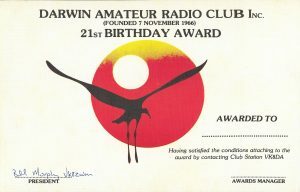 DARC has introduced a new Award for the club. Rowan VK8RD will be the Award manager. 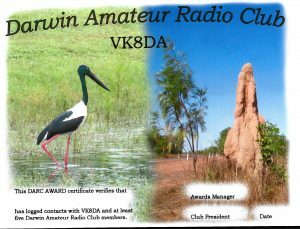 To qualify for the award a station needs to contact 5 Darwin Amateur Radio Club members as well as make contact with VK8DA. 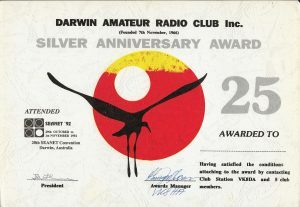 Award marking the first 21 years of DARC Inc.